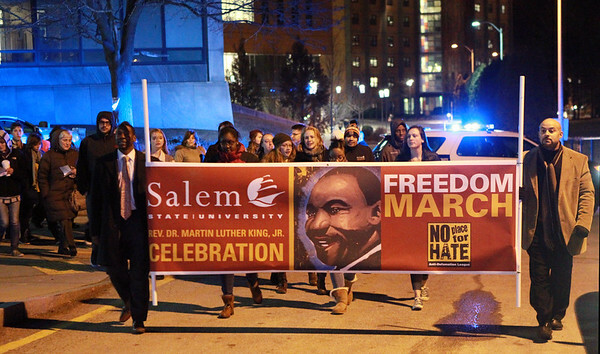 A large group of Salem State University students, Salem residents, and Salem elected officials march through campus while singing songs during a Freedom March in celebration of Martin Luther King Jr. Day on Monday evening. DAVID LE/Staff photo. 1/19/15.